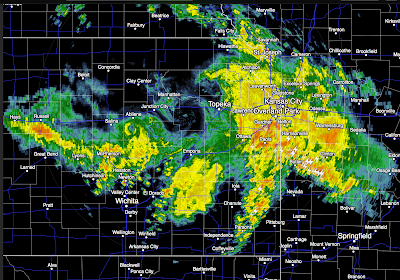 The heavy rain in the Great Plains that we have been talking about for several days is in progress. More than 4 inches of rain have fallen on parts of McPherson County, Kansas. 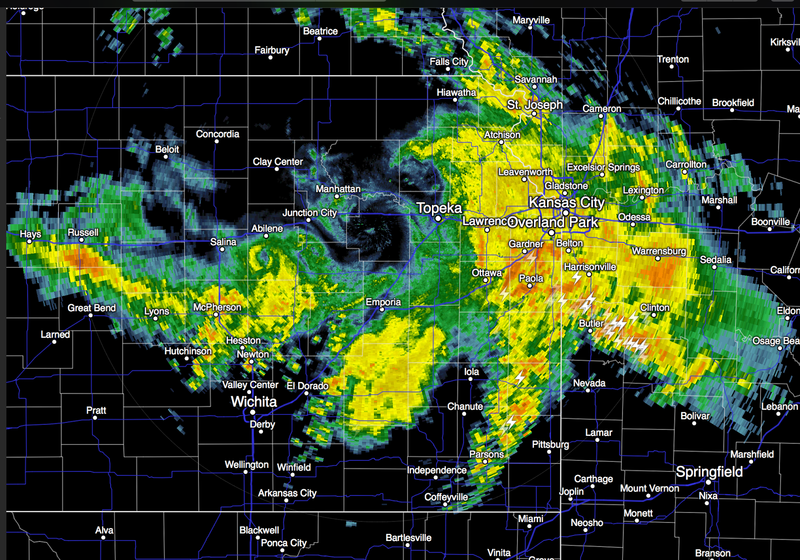 Very heavy rain is falling in metropolitan Kansas City right now. Flash flooding could result in this area.